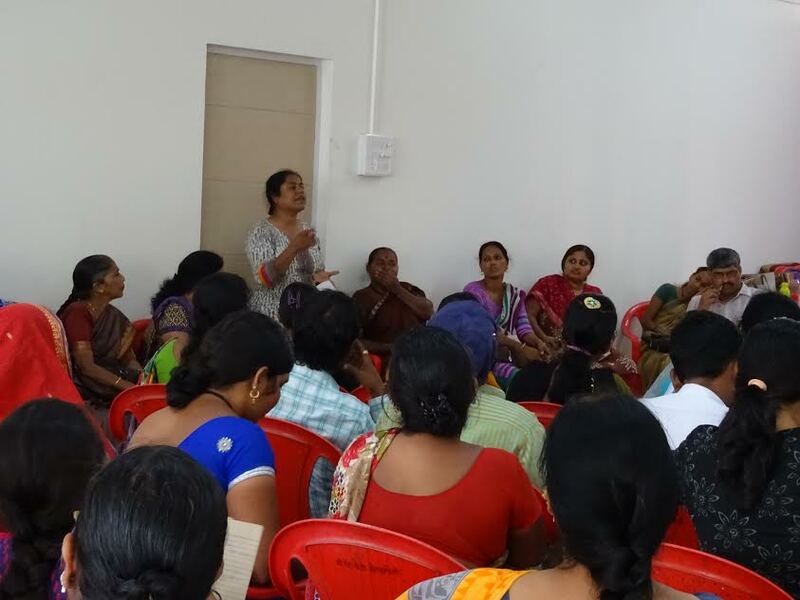 The Alliance of Indian Wastepickers (AIW) is a national network coalition of membership based organizations working on organizing informal waste workers for ensuring their access to their livelihoods and social security. As a national network, AIW has worked towards the inclusion of informal waste workers, waste pickers — in particular in various social security schemes — and drafted a national policy for waste pickers which was shared with relevant government institutions and bodies. At the November 2014 workshop hosted in Bangalore, it was decided by the participant organizations to host the next workshop in Mumbai with a special focus on inclusion of informal waste workers in the Swaccha Bharat Abhiyaan – Clean India Campaign of Govt. of India. There was also a decision to have a regular quarterly review of activities like provision of occupational identity cards either through Municipal/Local bodies or through relevant departments and their inclusion in various social security measures including Rashtriya Swasthya Beema Yojna (National Health Insurance Scheme), enrolment of their wards in the scholarship programme known as the ‘pre matriculation scholarship programme for children of those who are engaged in unclean occupations’. Further in the agenda was to plan for the year ahead: campaigns and activities which the alliance would like to take ahead. With this background, Stree Mukti Sanghtana, Navi Mumbai chose to host the 2 day workshop on February 25-26, 2015. Organizations from Delhi, Bihar, Odisha, Maharashtra, Karnataka, Tamil Nadu, Madhya Pradesh and Andhra Pradesh participated in the workshop. The first session of the workshop was devoted to the introduction of participants and the review of activities like provision of occupational identity card, inclusion of informal waste workers in various social security measures. In the last workshop in November 2015- Hasiru Dala, Karnataka, Avani, Maharashtra and Kagad Kach Patra Kashtkari Panchayat, Maharashtra were the only three organizations who succeeded in facilitating provision of occupational identity cards from the municipal body. Their case studies helped the other member organizations to take this task up in their respective geographies and lot more progress was visible on the given front. Provisioning of occupational identity cards was undertaken by Chintan in Srinagar, Jammu & Kashmir where more than 390 occupational ID cards were issued to waste pickers by Srinagar Municipal Corporation. After the enumeration of wastepickers in the city of Indore, Janvikas submitted the list to Municipal body, and the process for ID cards is ongoing. Similar updates came from Bhubaneswar and Chennai where the wastepickers will have identity cards soon. A survey identifying the needs of wastepickers is being undertaken by the Dalit Bahujan Resource Center in Andhra Pradesh which will be used for the purpose of availing identity cards as well as other social security measures. The number of identity cards provided in Bangalore has reached more than 7,000 workers in the past three months. Not much progress has been made towards the inclusion of informal waste workers in Rashtriya Swasthya Beema Yojna. The scheme is not applicable in Maharashtra, as the state government decided against it. For Karnataka it is still in process, and the details have been submitted by relevant department to the Union Government. In Delhi the process is still on, as the extension of scheme has been transferred from one department to the other i.e. from the labor welfare department to the health department. Update on the inclusion of children of wastepickers in the ‘scholarship programme for offspring of those who are in unclean occupations’: 300 applications have been accepted in Bangalore (Karnataka) and similar numbers stand for Mumbai (Maharashtra), where the work was in progress in the past. Applications have also been submitted in Pune as well as Kolhapur (250) in Maharashtra for scholarships. Discussions on availing other schemes which include access to financial services and insurance schemes were also held, where participant from all organizations gave their inputs. Kachra Kamagar Union facilitated the opening of 1000 bank accounts of waste pickers under Jandhan Yojna which includes one lakh (hundred thousand) insurance cover as a part of the scheme. Chintan also facilitated the opening of more than 900 bank accounts of wastepickers under Jandhan Yojna. After the sharing of updates, a discussion on Swaccha Bharat Abhiyaan (Clean India Campaign) was hosted. Prakash Kumar from Kachra Kamagar Union and Imran Khan from Chintan shared their experiences of working with government for given campaign. It was understood that the campaign due to its vague framing has a lot of space for inclusion of wastepickers and informal waste workers. It was unanimously decided that the Alliance should push for inclusion of wastepickers and informal waste workers in Swaccha Bharat Abhiyaan. The Prime Minister’s Council on Climate Change has decided to move ahead with “Waste to Energy” Mission as a part of National Action Plan on Climate Change. The members of the alliance requested for discussion on ‘waste to energy’ in the workshop. Following up with the stated agenda item, a presentation prepared by Global Alliance for Incinerator Alternatives (GAIA) which included a detailing of ‘science and technology’ of waste to energy in Hindi/Hindustani. Participants have agreed on collective opposition to incineration based ‘waste to energy plants’, there was broader agreement to pursue for bio-methanization technologies for organic waste which also under the ambiguous definition of waste to energy plants. Writing letter to the Prime Minister for inclusion of wastepickers and informal waste workers was the last activity of the day. Participants were divided in different groups based on regions and provinces. Each group drafted a letter on a chart which was later compiled in one document. On the second day of the workshop, document was opened for discussion and editing, as well as to avail the endorsements of member organizations. In the morning, participants were taken around to see the office of Stree Mukti Sanghtana where mini Bio-methanization Plants and rainwater harvesting structure have been installed. The discussions were opened with a discussion on the letter, edits were suggested, and roadmap for usage of the letter was chartered. It was agreed that the letter will be used for advocacy with Municipal Governments, State Governments particularly Ministry of Urban Development in addition of it being addressed to the Prime Minister. Nationwide mobilization for inclusion of wastepickers and other informal waste workers in Swaccha Bharat Abhiyaan. Rallies and Marches both at National and State level. Meetings with elected representatives and responsible authorities. Mobilization for opposing incineration based waste to energy plants which are proposed by Prime Minister’s Council on Climate Change as a part of National Action Plan on Climate Change. Participation of Wastepickers in Conference of Parties for United Nations Framework Convention on Climate Change being held at Paris. Ensuring that the opposition to ‘waste to energy plants’ is made visible and voices are raised against its inclusion in Nationally Appropriate Mitigation Acts (NAMA) and Intended Nationally Determined Contributions (INDCs). Incubation of interested entrepreneurs or activists who want to work with wastepickers and in the domain of solid waste management. This will be done by visits to the existing organizations. Exchange visits of members of alliance will also be supported to mutually learn from each other’s model of operation. An online toolbox where all useful documents are openly available for usage will be created as a part of the plan. To execute the given list of activities a budget will be prepared. Member organizations are encouraged to contribute appropriate amount or support in kind by organizing their own travel for participation in national meetings, hosting workshops at no cost etc. To steer the plans for year ahead, a new programme committee was constituted by the participants in the workshop, list is given below. It was also decided that Hasiru Dala will host the Secretariat of Alliance of Indian Wastepickers for next two years. *Names are to be confirmed again.